AVRIL Organic Micellar Water gently removes dirt and makeup residues on face and cleans your face without drying your skin. The organic cornflower water, renowned for its soothing properties, gives it a fresh and gentle fragrance. 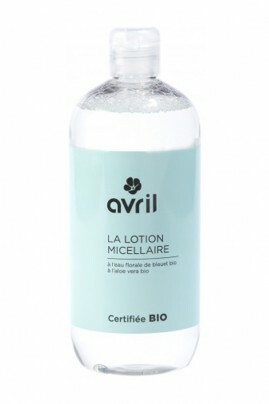 The Avril Vegan Micellar with Cornflower Water makes your skin smooth and clean ! Avril Cleansing Micellar Water cleanses your face in just one step ! Apply the Avril cleansing lotion certified organic on your face in the morning and in the evening using a cotton pad. Reapply if necessary but do not rinse. Then apply your day or night cream. Clean composition with 99% natural ingredients to take care of your skin ! Micellar Water certified by Ecocert.